Given the complexity of the oil & gas industry, the challenges faced in this industry are myriad. Rising input costs and fluctuating market prices are hitting top-lines as well as bottom-lines. Extraction and refining processes involve continuous production, requiring assets to be run at steady levels of production, which makes it difficult to implement lean solutions. Adding to these woes, there is increasing political and public pressure to reduce industrial risks and accidents. Environmental and sustainability concerns are gradually pushing oil & gas companies to increase spend on QSHE to meet customer demands. As the competition for natural resources and reserves is growing, companies are driving towards exploring and producing in remote, harsh and hostile locations, where even the simplest of the operational tasks can become very difficult and costly. Incredibly complex supply chains are making it difficult to deliver projects on time and manage budgets. Project overruns have far reaching consequences as capital costs as well as operational costs are already high. In short, due to changing business environment, increasing competitive intensity and need for increased focus on QSHE, rising costs are putting pressure on product margins and overall profitability. In such a scenario, technological solutions can play a critical role in keeping project costs as well as schedule under check. From monitoring and tracking operations, risk assessment and formulation of mitigation strategies, automating dangerous and error-prone tasks to enabling quick response to change and enhancing productivity and profitability – IT has the right solutions to serve all needs. Through centralized enterprise applications and mobility solutions, oil and gas companies canre-engineer and integrate their end-to-end business processes across the value chain. IT solutions have enabled oil and gas companies to monitor and track remote operations, undertake preventive maintenance, manage uptime/downtime, analyze real-time data and raise alerts and automate other such functions. Visualization, analytics, business intelligence and modeling are making it easier for decision makers to perceive the wealth of complex information, which in turn is leading to improved management. 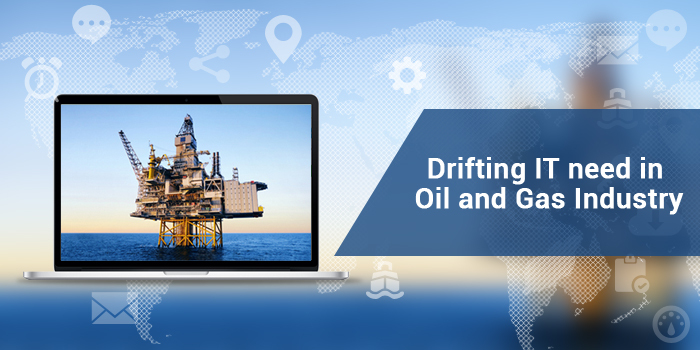 IT can equip them with such capability that allows them to act more predictive to better tackle the complex economical and environmental challenges of running an oil field today- be it internal bottlenecks, customer demands or external threats. Adoption of technology in this industry has been laggardly thus far. In the future to come, oil and gas companies need to further exploit the benefits that IT has to offer. Ranosys Technologies has worked extensively with oil and gas companies and gathered experience of real-time business scenarios. opTrak, the eLogging system with workflow management solutions, is one of the enterprise solutions developed by Ranosys for the oil and gas industry. It is a centralized business application that stores and tracks shift-related data. It allows the workers to enter their shift & equipment/ asset logs and admin/ manager can generate relevant reports and configure the dashboard. Advanced analytics features enable mitigation of risks, predictive asset management and optimization of operations.